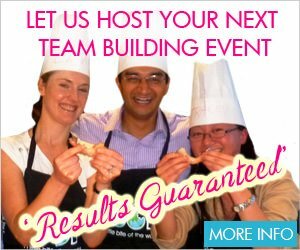 VictorsFood have partnered with a “cutting edge” sponsor – Zwilling J.A. Henckels. Victor has used these German-made knives for many years, and is proud to use them now for all VictorsFood corporate cooking events and cooking classes. 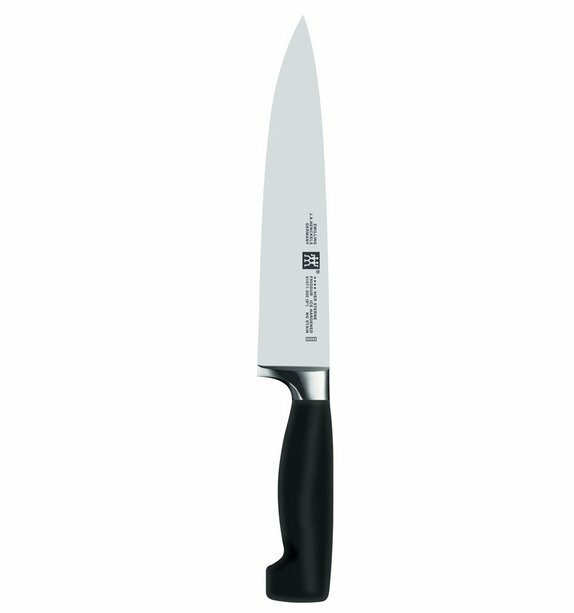 These high quality, professional chefs knives are beautifully weighted, with broad, strong blade and a fine cutting edge. Designed to last a lifetime, we are using the Four Star Series, which make wonderful gifts and will be the best quality knife you have purchased. Big shout out to Zwilling J.A. Henckels for coming on board so we can give people an experience of “the best of the best”. 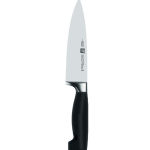 Now you can own one of these knives at a specially discounted price for Christmas. 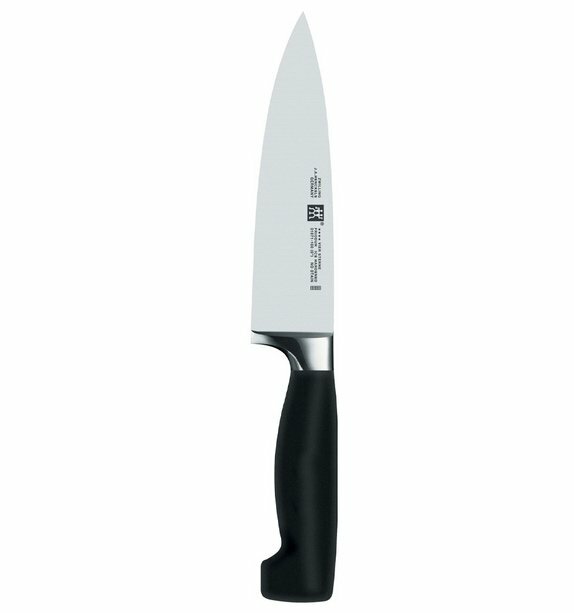 Purchase below to have the knife posted to you anywhere in Australia for a delivery fee of $7.50 (for up to 5 knives). 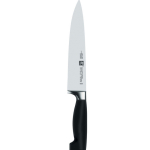 Or you can purchase a knife at the time of registration for your VictorsFood cooking class. Simply select the dropdown option for your choice of knife on the class description page. With a 280 year history and a deep passion for quality, Henckels’ enthusiasm for quality shows within every product. For Henckels, fascination and enthusiasm for cooking (and in turn, cooking tools) should come every day, not only during special occasions. Each and every knife range made by Henckles strives to improve in some way, shape or form, for the task at hand. When it comes to the best of Henckels’ ranges, their Four Star is among the finest. Their stainless-steel blades, formed with the perfect balance of chromium and carbon content – the secret to high-quality steel – hold a razor-sharp edge and won’t stain or rust. For improved durability, the bolster and tang are fused to each other and the blade, while a finger guard prevents slipping and improves safety. Plus, Four Star knives have a full tang – a solid piece of steel that extends from the tip of the knife to the end of the handle – to ensure good balance. 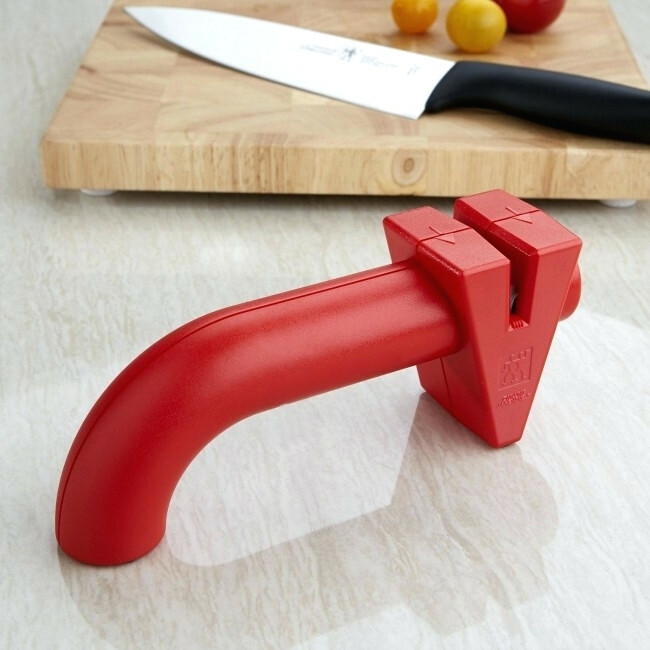 Moulded handles that are smooth and secure in the hand. For German engineering and quality, you can’t beat Henckels.